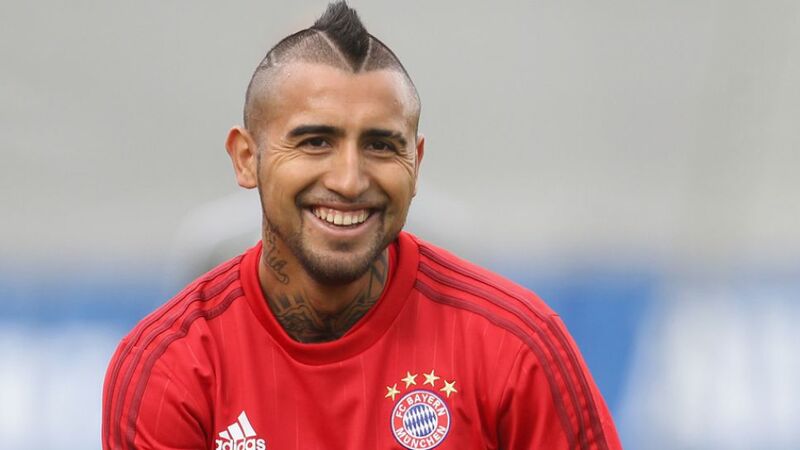 Munich - Arturo Vidal's FC Bayern München career is underway. A day after officially being presented as the Bavarians' big summer signing, the Chilean was put through his paces for the first time in training. Donning some striking pink boots, Vidal stepped out at Bayern's Säbener Straße training ground on Wednesday afternoon to be welcomed by his new team-mates. Three days ahead of the 2015 Supercup against VfL Wolfsburg, coach Pep Guardiola was delighted to be able to welcome his new recruit into action. And with only Franck Ribery, Holger Badstuber, Jan Kirchhoff, Dante and Javi Martinez absent, the Catalan was able to conduct training with a sizeable contingent of his squad. Vidal has had rather a short summer break after winning the 2015 Copa America with Chile, but said at his unveiling on Tuesday that he would be more than ready to make his debut against Wolfsburg on Saturday. "If the coach wants me to play, then I'm ready," said the former Juventus midfielder after he signed a four-year contract with the Bavarians.